Worrying about what to wear to work might seem like a first world problem, but as history has shown us, fashion has (for better or worse) had a habit of becoming a signifier of a woman's status and in the workplace. Whether it's the "We Can Do It" boilersuits of WWII or the corporate power suits of the '80s, clearly there is more to uniform than meets the eye. Of course, in 2019, women are smashing glass ceilings left, right and centre, but for many of us, deciding what to throw on in the morning can affect the way we carry ourselves. No one knows this better than personal stylist and ex–Vogue fashion editor Ginnie Chadywck-Healey. 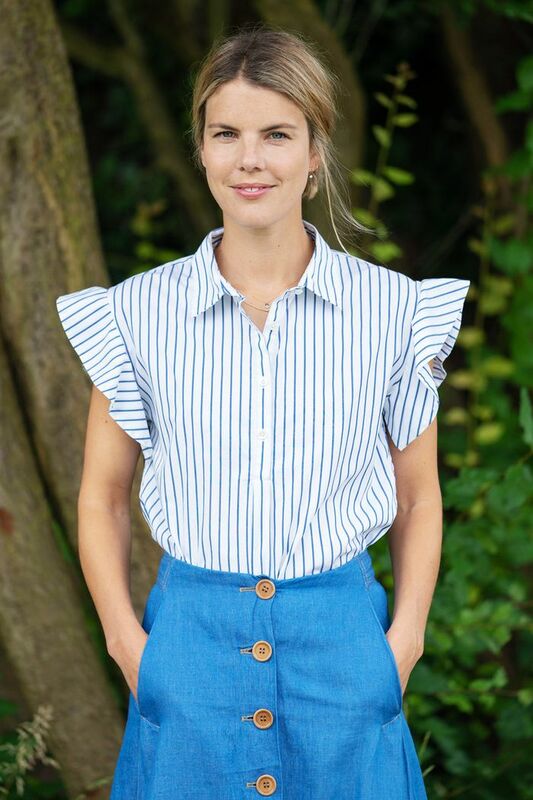 Not only has Ginnie helped a range of women navigate the world of workwear dressing, but she was also recently announced as Kate Middleton's new stylist. We grilled Ginnie on all things workwear-related: From her top tips to looking stylish and professional to her go-to outfit formulas when working at Vogue. Scroll down to see what she said and shop her top workwear picks. Ex–Vogue editor turned personal stylist Ginnie Chadwyck-Healey. In your opinion, what are the main challenges facing women when it comes to dressing for the workplace? Firstly, by the very nature of women's fashion, we have more choice. The rules governing what we can or should wear keep shifting, and so it's not always as simple as throwing on any kind of "uniform." Mostly, men just need to wear a suit and perhaps change their tie, whereas women have to think about tights or no tights, fitted versus loose, and dressy versus casual in order for them to be work-appropriate. Ultimately, workwear can cause a lot of unnecessary judgement from our peers and bosses if you get it wrong. Really, you just want to get on and do your job well! What are the recurring problems your clients are currently facing workwear-wise? A lot of the women I meet are about 10 years into their career, yet they feel that their professional identity is not only based on how they perform. Rather, it's about the clothes they wear. Even at mid/senior management level, clothes still flummox them. They don't want to stand out for being too bold, but they don't want to blend in and get lost. And, of course, they all ask, "How do I wear colour at work?!" What are your top tips for looking both stylish and professional? 1. Fabric choices can turn an outfit around. The better a fabric hangs, the better the silhouette, the more confident you can feel. For example, a silk shirt under a suit jacket or blazer is much better than a rigidly fitted cotton shirt. Even a fitted dress should be lined in such a way that it allows you to move. 2. Shoes are obviously pivotal to comfort. I actually encourage people to wear something with a slight heel—a kitten or block heel. No more ballet flats! Patent will always look smarter for longer than leather, which can scratch and soften. Ankle boots can look clunky and can even chop your legs off, so aim for a style that's more elegant and skims the ankle. Save the biker boots for weekends. 3. Stylish doesn't need to be loud. It doesn't need to shout "Hey, look at me and how on trend I am!" Stylish is as much about how you command your work audience's attention in a meeting just by being able to hold yourself comfortably and confidently. How did you go about deciding what to wear when you worked at Vogue? Did you have go-to formulas? Being surrounded by incredible fashion and accessories almost made me a more scrupulous shopper and dresser. For me, I realised the one area I should spend money on was shoes. Shoes are a good way to enter the designer realms. For example, I couldn't afford the Prada handbag, but I could save up and get the classic work heels. Ballet pumps are awful for my feet so they were off limits, but the Nicholas Kirkwood brogues or Rupert Sanderson Clava style are exceptional for all-day footwear that has "boardroom clout." Smart trainers were great for office days and zipping to press launches, but I always had heels for meetings, especially with the [editor in cheif]. The rest of what I wore was a failsafe solution of navy trousers (from Cos or Arket), silk shirts (from Joseph or Jigsaw) and smart gold jewellery (from Missoma, Vinnie Day or Grays Antiques). I would always go to the Roksanda sample sale, as I love her colours, and she was my go-to for events when I needed to look fashionable but powerful. What pieces would you include in a workwear capsule wardrobe? Given there are just so many to choose from right now, a day dress would have to be included. Stripes or a plain colour (most floral patterns would feel too whimsical for work—sorry!). Secondly, I'd say a blazer: They're everywhere and are a good way to give a nod to the suit trend. Thirdly, a pair of loafers or low block heel you can walk in. There's a reason Gucci is still selling loads of loafers and a reason so many brands now have them as standard season after season. My final choice would be a navy polka-dot shirt (ideal for dress down Fridays, but equally smart when tucked into a pencil skirt for a more formal environment). It's a way to give a nod to the '80s trend, but it's also just a useful print that isn't too daring. Who do you think does workwear dressing really well? I always admired Kate Phelan at Vogue. She wore the same thing every single day: Black jeans, white T-shirt and black pumps. Queen Rania of Jordan is timelessly elegant. She has just enough fashion to keep people entranced, but she wants to be taken seriously in her charitable efforts (and her Royal position) and she gets it right time and time again. Paula Nichols, MD at John Lewis is also someone who lives and breathes the brand. 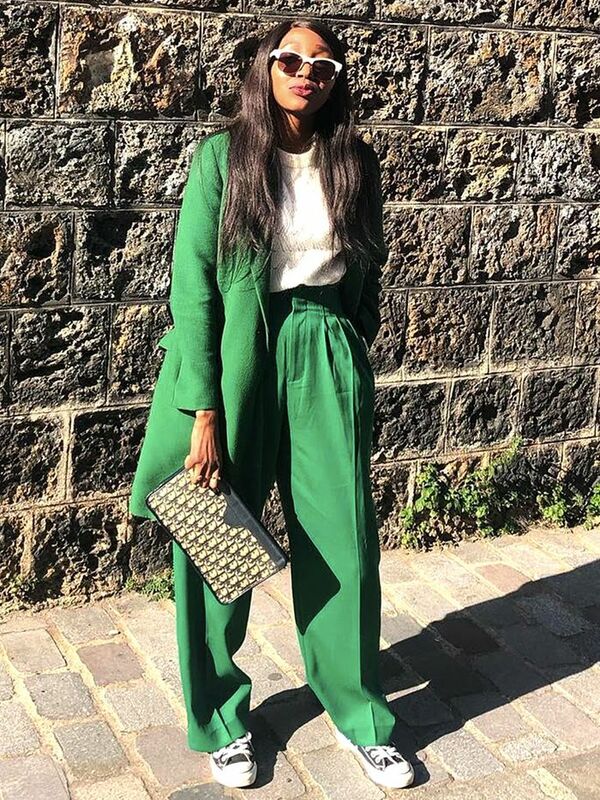 She's a woman at the top of a huge organisation—often surrounded by men in suits—and she isn't very tall in real life, but manages to bring a combination of clout, an awareness of fashion and also a seriousness to her look. Finally, what are your favourite workwear brands? Joseph, Arket, Bimba y Lola, Marks & Spencer, and I allow myself an occasional look at Zara, but not too often!